I presented a research in progress paper entitled “Transforming Surfer Boys: A Cultural History of Zulu Surfers in South Africa, 1965 to 2013” in the panel on Conflict and Leisure at the Historical Association of South Africa (HASA) Biennial Conference in Durban on Friday, 27 June 2014. This working paper on black surfing histories in South African forms part of my doctoral study on gender and politics in the history of South African surfing culture. A cultural history of black surfing disrupts the whiteness, but not the masculine ethos, of surfing in South Africa. 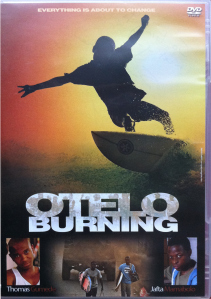 For Durban, two films have foregrounded Zulu surfers, the feature film Otelo Burning (2011) and documentary film Kushaya Igagasi (2013), translated as “Hitting the Waves”. In seeking to contextualise these contemporary formations of youthful black, male surfing subjectivities, this paper sets out a genealogy of Zulu surfers in surfing magazines, surf industry advertising and films featuring surfing (surf films, documentaries and feature films) from 1965 to the present. These sources provide an archive for a postcolonial reading of established (mediated, commercialised and organised) surfing culture’s appropriation of Zuluness during years of beach apartheid to affirm white surfing’s cultural distinction and difference in terms of race, class and gender. In the post-apartheid era, a discourse of surfing development and national sports transformation re-shaped views of Zulu surfers from that of athletic tokenism to social inclusion in the waves. Nevertheless, race trouble (the presistance of racial inequality in the everyday despite a discourse of tolerance) and contested masculinities at the beach have remained a persistence of the past. 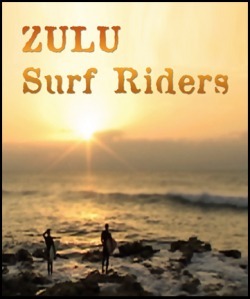 From the early 1990s, the voices of Zulu surfers in KwaZulu Natal can also be found in the surfing archive. A changing cultural politics has made possible an agency for Zulu surfers to accommodate, subvert or re-appropriate established surfing’s representations of “the surfer”. While this self-fashioning may be driven by a desire for social mobility, they have emerged, especially in the 2000s, out of clubs or social development programmes, inclusion within surf teams, brand sponsorship and media attention. The Africanisation of South African surfing culture, expressed at times as township surfing culture, is addressed by exploring the local and global processes of surfing lifestyle consumption among Zulu surfers in Mzansi (the South).